After a lame hotel breakfast experience, we did some searches in the Prince Edward County area for good breakfast places and this inn and breakfast place in Picton popped up. 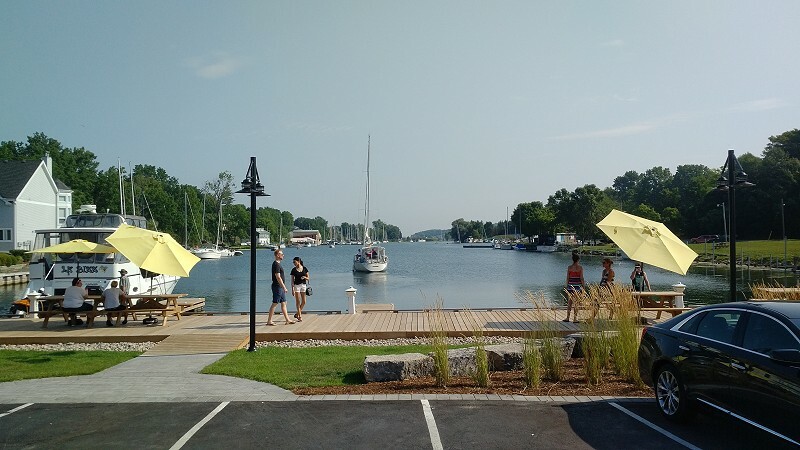 It sits on Picton Harbour, which is this small cute harbour where pleasure craft from Lake Ontario can come and dock. The place is popular for breakfast and we had to wait, but you can wait outside on a picnic table and enjoy the boats and scenery. Inside, the service was great, the portions generous and they had the best hashbrowns I had in memory. I learned some interesting history from the menu. Picton the town was named after “the most senior General to fall at the Battle of Waterloo.” Somehow that’s not reassuring. The area’s first permanent Europeans were the English Loyalists who fled what became the United States. I recommend arriving early as it’s a small restaurant and quite popular. And you need more time than usual to read the menu.